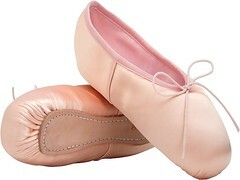 The Merlet pointe shoes that are sold here in the United States are technically called Merlet-Pietra models. 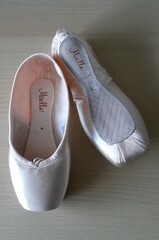 The names reflect the design collaboration between the Merlet Company and Marie-Claude Pietragalla. 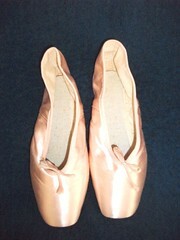 Marie-Claude Pietragalla studied ballet at the Paris Opera Ballet school and then became a member of the corps. 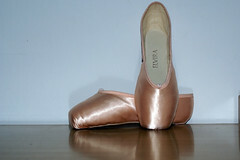 During her years as a dancer for the Paris Opera Ballet, she was given the nick-name Pietra which means “rock” in French. Marie-Claude Pietragalla became the director of the Ballet De Marseilles. 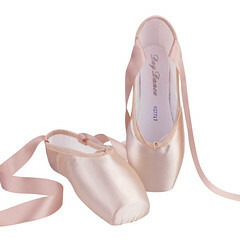 Her knowledge and experience with dancers needs were incorporated into the Merlet-Pietra pointe shoe collection. 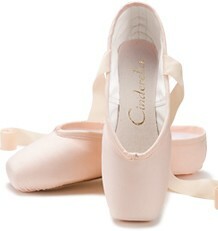 Out of this partnership came 4 pointe shoe models; the Empriente, Prelude, Pulsion, and Premiere. You can see the Merlet-Pietra models by visiting the Merlet U.S.A. website. 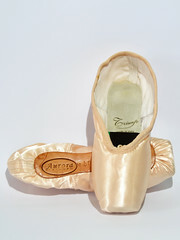 This entry was posted in Pointe Shoe Brands and tagged Marie-Claude Pietragalla, Merlet pointes, Merlet-Pietra. Bookmark the permalink. They’ve got the Dedicace/Performance and Kaliste as well! I love your blog to death!! !